One of Scandinavia’s most honored poets. 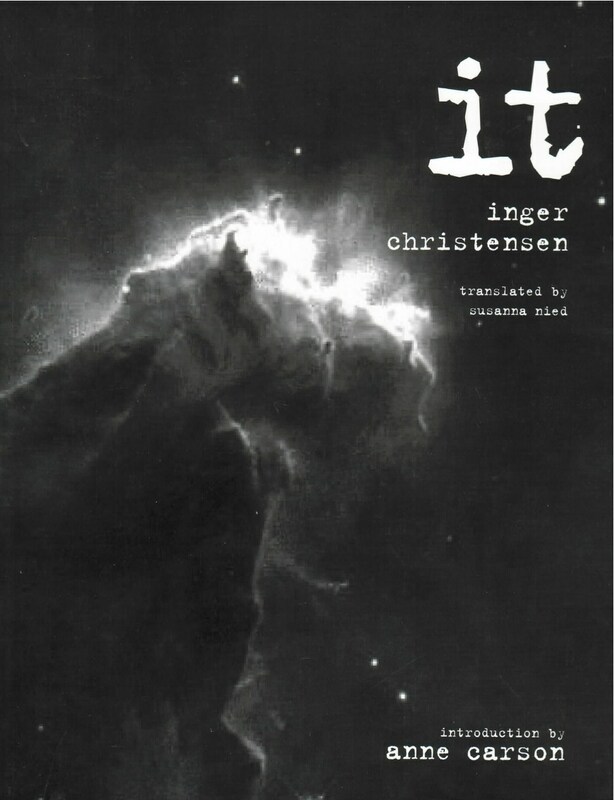 Here at last is Inger Christensen’s masterpiece it, translated brilliantly by Susanna Nied, and with an illuminating introduction by Anne Carson. It is the masterwork by Danish poet Inger Christensen (“a true singer of the syllables,” said C. D. Wright), often cited as a Nobel contender and one of Europe’s most revered poets. On its publication in 1969, it took Denmark by storm, winning critical praise and becoming a huge popular favorite. Translated into many languages, it won international acclaim and is now a classic of modern Scandinavian poetry. it is both a collection of poems and a single poetic epic, forming a philosophical statement on the nature of language, perception, and reality. The subject matter, though, is down to earth: amoebas, stones, and factories; fear, sea urchins, and mental institutions; sand, sexuality, and song. The words and images of it recur in ways reminiscent of Christensen’s other works, but here is a younger poetry, wilder, and crackling with energy. The marvelous and complex use of mathematical structure in it is faithfully captured in Susanna Nied’s English translation, which won a 2005 PEN Translation Fund Award.